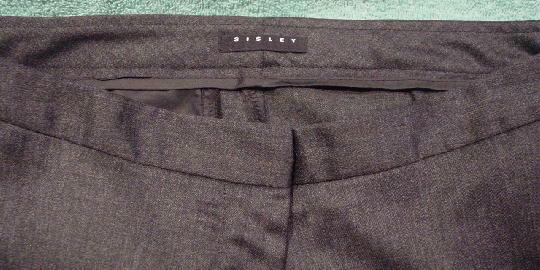 These multi-tone dark gray (feels like wool and spandex - the fabric tag was cut out) pants are by Sisley. 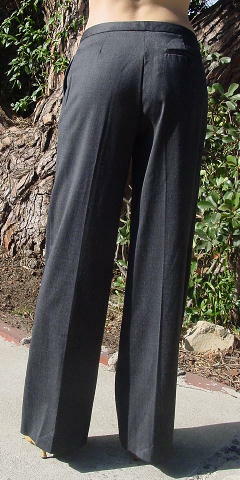 They have a 5 1/2" long zipper fly, 1 1/16" wide waistband, and hidden two button waist closure. 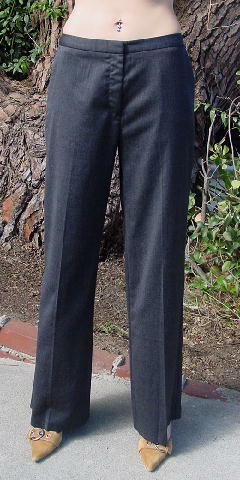 They have diagonal lined (probably rayon) upper front pockets and a back one button lined pocket.